Rumoured look of our kit for next season. What a week of football we’ve had so far with Lionel Messi and Cristiano Ronaldo keeping up their series of “I can do whatvever you can” after both missed crucial penalty kicks that played a part in their respectively team’s exit from the Champions League. A case of “we’ll be back” next season for them. 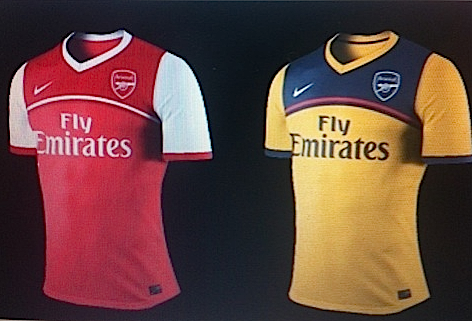 Speaking of next season, we’ve seen a number of kits surface in recent times as being our kit for the 2012/13 season. And what you’ve seen above is a new one that surfaced last night. Evidently, it suggests we’ll be back to having yellow as our second kit, which would be a welcome move. Generally the design looks cool, and is the best looking rumoured kit for next season I’ve seen so far or what do you think? The Sun first reported last night that Jack Wilshere will turn down any invitation from Stuart Pearce to be part of team GB’s football side at the Olympics this summer and instead concentrate on becoming fully fit for Arsenal next season. This comes on the heels of ‘psychotic’ Pearce insisting the 20 year old will be included in the team GB squad if he is fit to play, a move that would see Wilshere miss pre-season with us. Having not played competitive football this season no thanks to niggling setbacks in his recovery from an ankle injury, Arsenal would rather Wilshere was with us when he is eventually fully fit. And though we recognise that Wilshere’s made quite an impression on managers with his an immense talent, Pearce will have 79 other players to choose his final 18-man squad to the Olympics from, he really should let Wilshere be for now. World’s best forward Nicklas Bendtner spoke on Danish television and basically stated that he is not sure he would be a Sunderland player beyond this season even if the opportunity came. He also said he will be open to the option of returning to us when his loan spell ends though reiterated his desire to leave the club and I feel it’s the best option for him, with Podolski’s ‘imminent’ signing, Chamakh’s reluctance to be shipped out and the presence (for whatever other reason than competitive football) of Park Chu Young. He also however stated that a definite course of his future will be made only after playing at the European Championships at Poland and Ukraine. For now, he says he has enjoyed having games under his belt at Sunderland even though the style of play at the Stadium of Light differs from Arsenal’s. Le boss will be away from the touchline in Europe next season after deciding to not go the long (and ultimately fruitless) path of an appeal against his UEFA charge and fine for using fine language on the referee in the win over Milan. Consequently, Wenger will miss Arsenal’s first three matches in Europe next season… the first three Champions League group stages most preferably. That’s the bit from here today. Next up will be a preview of the tricky trip to face Stoke City as we look to seal that final Champions League spot in our last three league matches, starting from the Brittania. Do follow us on twitter @goonermemoirs and have a great day. The football gods gave us a reason to smile in the new year as we witnessed the 3-0 thumping of Man United at the Sports Direct Arena last night. And while I was pleased with the result and the kind of game that was served up, I feel a sense of frustration, knowing that we could have closed the gap had we won at Fulham. That game is in the past now and we can only look forward. We do not play again until Monday, Leeds in the FA Cup and with the winter Transfer window in full swing, some stories have caught my attention. Not much has happened for us on the transfer front so I start with the revelation that Mikel Arteta nearly decided to play for England, only for an intervention by FIFA to prevent him. Mikel arrived in the country in 2005 when he joined Everton and developed a liking for the culture. But he realized he was not qualified represent England because he had represented his native Spain at Under-16 level, and he didn’t have a British passport at the time. Seeing how England has performed on the big stage in the past 8 years, and looking at how the Gerrard-Lampard combination has fialed miserably, they would have benefited from having someone like Arteta, who actually knows how to “play” football, in their ranks. With England out of the way, what’s yo say he cannot get into the Spanish national side. I know it’s a tall order, but with consitent performances in the EPL and Champions League, he may just get lucky. No doubt he’s been up there with the asissts, I just feel he should, or he has the ability to help with a few more goals. That will help ease the burden of scoring off RVP. Apparently, Ivory Coast coach Francois Zahoui has rejected Manchester City’s request to play Yaya and Kolo Toure in Sunday’s Manchester derby in the FA Cup. The coach insists both of them report for a meeting in Paris on Saturday before flying out with the rest of the squad to Abu Dhabi for a two-week training camp. This definitely rules out any chance of seeing Gervinho on the pitch against Leeds. 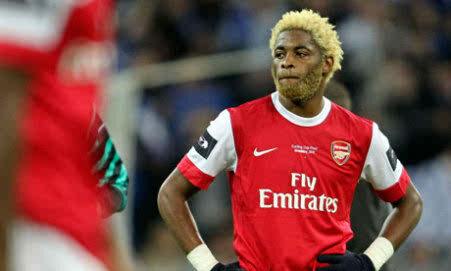 If Titi’s move becomes official before then, we may see him on the left of the front 3. Not a bad replacement, you say? By the way, Sagna is expected to start kicking a ball today; great news if you ask me! How we have missed him! Vito Mannone has rejoined Hull City on loan, we wish him the best of luck, and hope he returns to give Sz13 a run for his money. World’s best player Nicky Bendtner was arrested following an early hours brawl at a luxury hotel, for the second time in two months! He doesn’t learn that fella! That’s about it from me today. I hear Gazidis is in France at the moment, I can only pray he’s there to do business and not on holiday. What players do you think we should sign and why? Let me know in the comments! Have a good day wherever you read this from! It’s the last day of the transfer window and clubs are eagerly putting finishing touches to the business this summer. After months of relative inactivity, the club board is finally doing what the fans want. In less than a week, we’ve signed Park Chu Young (£3m) and deals for Santos and Mertesacker (combined worth of £14.1m) are at an advanced stage. But if the stories making rounds are anything to go by, we will break our transfer record before the end of today. So straight to the gist. 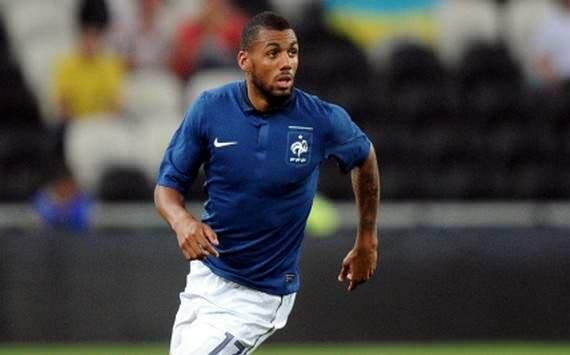 Arsenal will lodge a £25million bid to prise Yann M’Vila from Rennes. The highly rated France international is Wenger’s main target and the manager is increasingly confident he can deliver a signing that would serve as a huge statement of intent. Le Boss has received excellent reports on the qualities of M’Vila and his ability to bring greater steel to a midfield that has been found lacking in the opening Premier League fixtures of the season. Signing him probably means Wilshere will get a more advanced role, with M’Vila and Song covering for him. Reports late last night indicate that Eden Hazard on French TV has made known his intention to quit Lille and sign for Arsenal. This comes after days of denials of the possibility of any bid by Lille and the player himself. Hazard forged an hazardous (pun well intended) partnership with Gervinho last season in Lille which saw them win the League. I’m sure Arsenal fans won’t mind them linking up at the Emirates once again. I wouldn’t hold my breath if I were you though. There were also talks of Chamakh going on loan to France or Spain. I doubt this will happen though, as Wenger last week that said the main reason for purchasing another striker is because we’ll lose Chamakh to the African Nations Cup in January. That means the boss still sees him at the club in January. Things can change really quickly though, so we cannot rule out the possibility of Cham29 leaving on loan. Bendtner meanwhile looks more likely to leave, and there have been rumours of a swap deal with Schalke for Klass Jan Huntelaar. I honestly don’t know what to make of that. 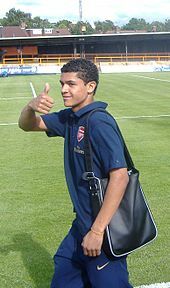 With the expected signing of Santos and Mertesacker, talks of Cahill and Samba have understandably died down. If Per joins, he’ll partner TV5 in centre defence and they’ll be flanked by Sagna and Santos. Koscielny and Djourou will serve as cover. I don’t see Cahill or Samba leaving their starting positions to settle for a place on the bench at Arsenal. Anything is possible though, we do not know how things will play out, and what prevents us from having 4 top CBs at the club? We’ve been linked to a lot of players (arguably the most for any team) and today won’t be any different. Prepare to get news of 50 player flying into London for Arsenal medicals today. Follow the blog @goonermemoirs for credible transfer news as they break. Before I go, I’ll leave you with my idea of how today will go. What do you think? Will we sign more players? Should we even sign more players? Do let us know in the comments! You don’t know how glad I am that there’s finally a game to play, and its one between the two most successful sides in the FA Cup history. The fallout and noise and accusations and charges that flew around after the Barca game was getting too much. Its this simple, Barca taught us a footballing lesson. Why? We sold out our footballing values. 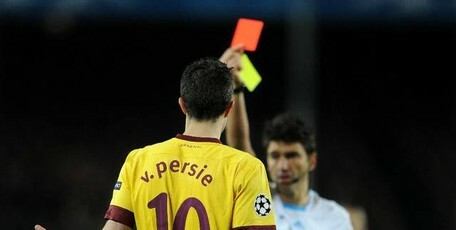 And it was compounded by RVP’s sending off at a vital point. We all know how the rest of the story goes. Its saturday and we have our season to fight for. So too does United. To team news, like we’re used to, important players always pick up knocks around this time and they haven’t failed to deliver, Fabregas(hamstring), Song(Knee), Walcott(ankle), Chezzer(finger), Vermaelen(some mysterious ancient injury that has no cure) are all missing for us meaning we should still have a solid first 11 but a mediocre bench. Good times. We can take comfort in the fact that manure have their share of absentees, Nani, Park(our tormentor), Ferdinand, Valencia won’t feature. Well let’s hope for a great spectacle today shorn of moronic refereeing decisions and horrific injuries. Hopefully get an early goal and see Rambo come on for the last fifteen minutes to grab the winner. Two Down, Two To Go. Are We Going To Fold? You’ll have to pardon what may seem like incoherence in this post, but I still haven’t been able to fully assemble my thoughts. I do honestly hate to say I’m not surprised about yesterday’s result but here’s the thing, I’m not surprised. Granted we went to the Nou Camp with a game plan and I was shocked because it seemed to be working what was the game plan? To stop, or try to stop, Barcelona from playing and then in typical Arsenal like fashion(not being able to keep concentration for long periods of time), there was a moment of madness from the captain, a midfielder aided by our left back. I refer to it as a moment of madness because, I mean what else would u call a back pass in and around your own box 18 with the pitch full of world class talent like Xavi, Iniesta, Messi and Villa all of whom would be expected to be in the very area where the ‘assist’ was given and as you would expect, our resistance was broken. So what did we have to do? Attack, and it seemed like we would do just that as well in the opening minutes of the 2nd half (hence the goal) then Massimo Bussaca Just had to intervene, how u give a SECOND yellow to a striker who shot when the whistle had been blown in a stadium of well over 90,000 screaming fans is completely beyond me, that was enough to bury any flicker of hope left in the team, which is why we conceded so soon afterwards. I mean going against Barcelona’s hard enough with eleven isn’t it? But 10 against 12?!? Don’t get me wrong, The Arsenal’s over all display was a disgrace but maybe that was so because, as regards the 1st half, they were trying something we never had seen them try before, to play defensive football and then other than this let’s not forget that there was enough pressure from us, with 11men to score a goal despite the fact that w couldn’t seem to keep or control the ball to save our lives! So with 11 men, there was always a chance that we’d get another but then the red card to the one person who has consistently pulled a rabbit out of the hat for us since December, this becomes all the more painful when one considers that moment where Bendtner could have eliminated Barcelona if Van Persie was on the end of that inch perfect Wilshere cross. Credit to Almunia and Wilshere, the only players who seemed to do us proud yesterday and maybe Nasri as well, we need more players like them on a day when our leader failed us. And I have not even addressed the penalty, or lack of but do I really need to? But before I go, I’d just like to blame Arsene Wenger and only Arsene Wenger. Why? Next time, make topping your champions league group a priority instead of resting players after the third game. Result? We’re out of the tournament while Shaktar who topped their group, easily brushed aside a poor Roma side. That could have been us. All this being said, I’m sure you have figured why I named this article as thus. Now I’m off to something more important, I don’t feel like being a gooner today, I smell darker days ahead, beginning with the FA Cup! I’d like to be wrong on that. From wherever you’re reading, have a swell day. Your thoughts? ***UPDATE*** The post had to be tweaked a little to bring you news that just reached us from Arsenal which is Fabregas is 90% fit to face Barca while Alex Song is definitely out ouf the tie, which might see Diaby deputise for him. Morning to all you readers out there, what a weekend. First we blow the chance to eat well into Manure’s lead and then Lady luck favours us as Manure were ‘Kuyt Napping’ at Anfield. Get the joke? Oh well unto the tie which Arsene Wenger blamed as being a distraction for the players against S’land. Its Barca at the Nou Camp. Ever since the first leg was concluded, the odds slightly shifted in our favour to progress at their expense but in that period we’ve lost the Carling Cup to B’ham, defeated Orient by 5 goals and found Sunderland impossible to beat not to mention the injuries to key players RVP(in the form of his life), Fabregas(who is fit to start on tuesday) and Song(already ruled out by some media outlets). I really hope we won’t have to point to their absence as an excuse should we not progress after all they have problems of their own with their first choice centre back pair (Puyol and Pique) missing through injury and suspension. Barca have never been known for their defensive prowess so it might not bother them a lot but I sense it will depending on the forward who plays for us. Should we go with Bendtner who flattered to deceive on Saturday after bagging a hat-trick against Orient, or go with the more seasoned Chamakh who looks to be returning to full fitness? Whoever gets the nod must play like Tevez or Ji Sun Park come that night. Another scare was avoided after Wilshere picked up a knock only for him to assure Arsenal fans via his twitter account that he’s fit. Whew. Thank God for that. The midfield is where the game would be won. We don’t want to speculate on team news for now till Arsene gives his press conference but am guessing at least two enforced changes would be made with Sagna returning from a suspension, and Arshavin for the injured Theo. Whatever the team, whoever plays must give 150% on the pitch and if there must, ‘Let there be blood‘ Fabregas for the inspiration, Nasri for the spark and creativity, Wilshere for the hardwork and doggedness and the defence for a mission impossible, which is to keep Barca from scoring. If we score first, we’ll be home and dry that I know of.